East Manufacturing Supports Wyakin Warrior Foundation with Gear Up for Good! 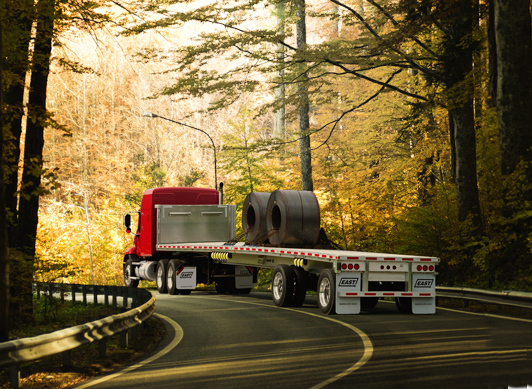 With East, you don’t have to give up strength to get the payload you need. 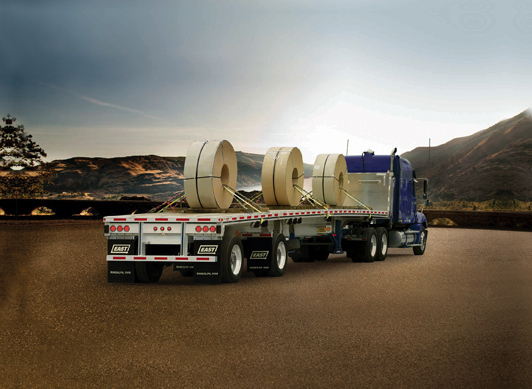 With over 50 years of trailer engineering experience, East trailers are designed to maximize payload and still provide you the strength to handle the stresses of hauling day in and day out. 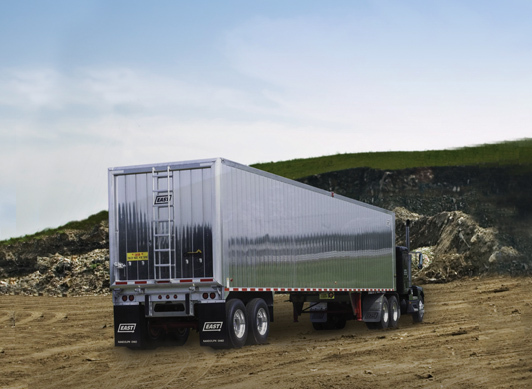 In addition to maximizing payload, East trailers deliver strength and durability to meet the needs of all types of flatbed, drop deck, dump and refuse trailer applications. 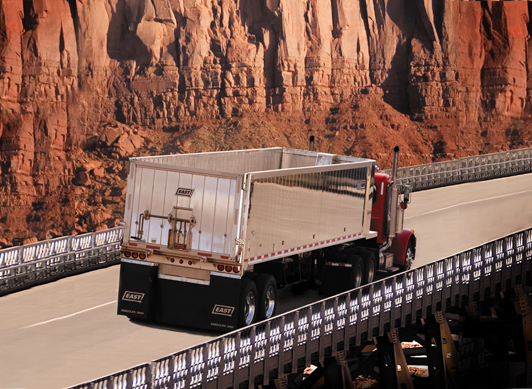 By incorporating the lightest weight and longest lasting components into each and every trailer, East has earned the reputation of having higher resale value. 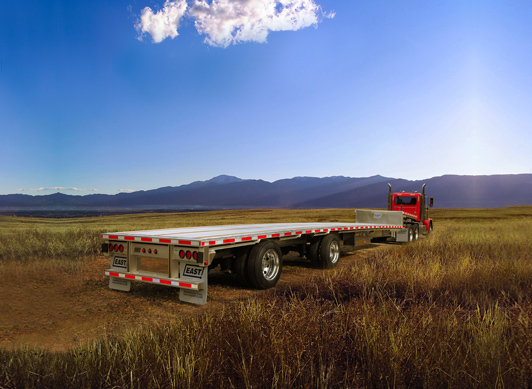 East flatbed trailer models maximize payload, and deliver strength and durability to meet the needs of all types of flatbed trailer applications. 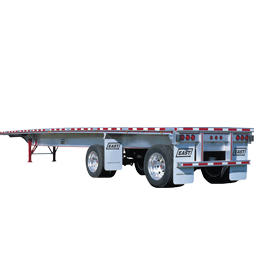 East drop deck trailer models maximize payload, and deliver strength and durability to meet the needs of all types of drop deck trailer applications. All East dump trailer all models maximize payload, and deliver strength and durability to meet the needs of all types of dump trailer applications. East manufacturers the only truly "heavy-duty" aluminum toolboxes, fenders and cab protectors on the market. 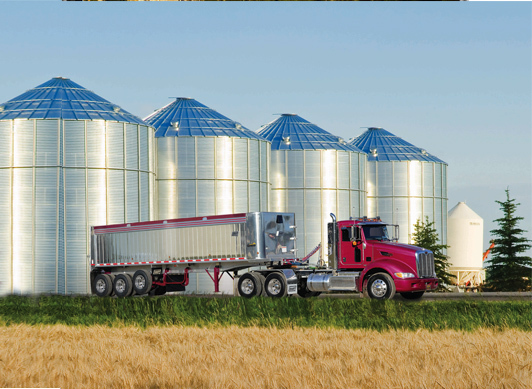 Simply put, East trailers have the highest resale value of any aluminum trailer on the market. Compare used trailer prices and see for yourself.